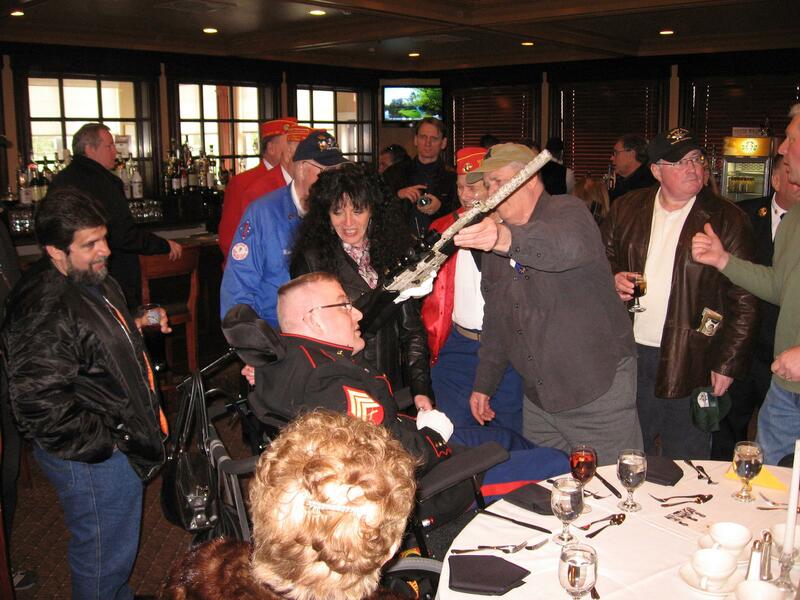 On Saturday July 25th, the Adirondacks Lake George Chapter of Leathernecks MC held a poker run to benefit USMC Sgt. Eddie Ryan in Hudson Falls, NY. The Marine Tribute Bike made an appearance. The run started at the Marine Corps League building in Hudson Falls and, at the end, returned to the American Legion Post 574 also in Hudson Falls. For a slideshow of pictures go here. Sgt. Eddie Ryan was wounded in Iraq on April 15, 2005. 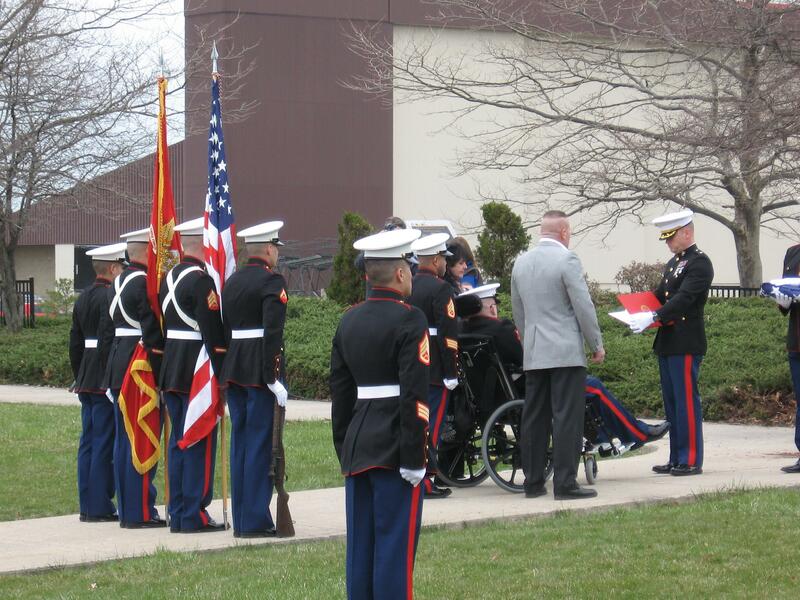 For more on Marine Sniper Sgt Eddie Ryan go here. 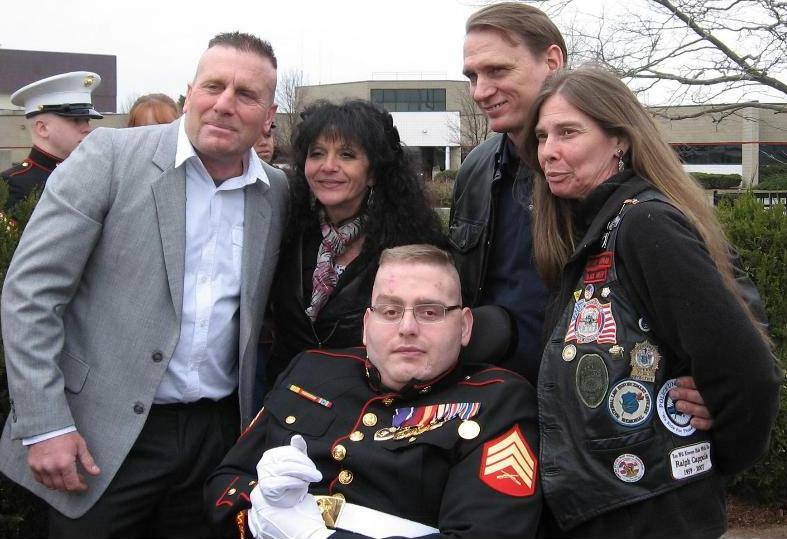 A report on Sgt Ryan’s family’s battle with the VA over his recuperation is here.